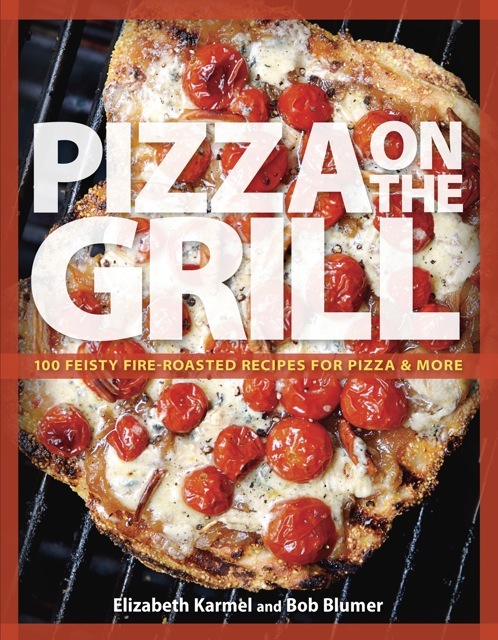 In Pizza on the Grill, pizza-grilling mavens Elizabeth Karmel and Bob Blumer share with you their secrets for making addictively delicious pizzas that will satisfy your every craving. You can stick with the classics and fire up All-American Pepperoni Pizza or Very Cheesy Pizza, or indulge yourself with Kung Pao Cashew Chicken Pizza or Black 'n Blue Steak Pizza. Explore new culinary shores with Smokin' Salmon Pizza and Clams Casino Pizza, or have a field day at the farmers' market and enjoy Fire-Roasted Veggie Pizza and Blistered Corn, Asparagus, and Pesto Pizza. And pizza isn't just for dinner anymore; surprise and delight your brunch guests with Artichoke Benedict Pizza, or serve up a memorable ending to your meal with Caramelized Pear and Roasted Walnut Pizza or Orange Chocolate Truffle Dessert Pizza. Karmel and Blumer give you the goods you need to make perfect pizza every time, whether you own a gas or charcoal grill. Wine pairings and other beverage suggestions as well as tasty appetizers and salads round out the book.